The tinda and plural called tinday, also called Indian round gourd or apple gourd or Indian Baby Pumpkin, is a squash-like cucurbit grown for its immature fruit. 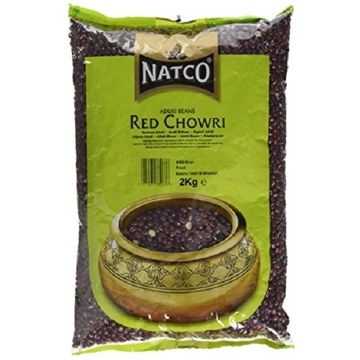 Red Chowri are considered to be an important food legume in India, rest of Asia and even Africa. They are also called or referred to as zipper cream peas or Southern peas. In South India Red Chowri are used to make side dishes and broths and are generally cooked with coconut milk, tomatoes, diced onions and spices. Rich in protein and delicious in salads and nut mixes. Suitable for vegetarians. Urid (or Urad) beans split and dehusked to produce a small pale yellow split pea (dal). This dal has many uses and is popular in North and South Indian cuisine. 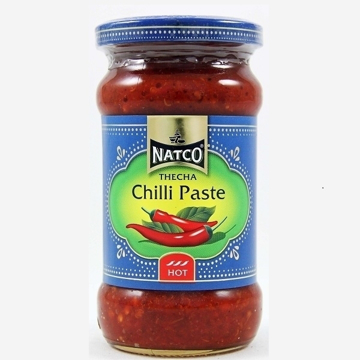 Great for creamy dals and soups and also used to prepare dumplings. If fried in oil, this dal will turn red and aquire a nutty flavour. Available in 500g bags. 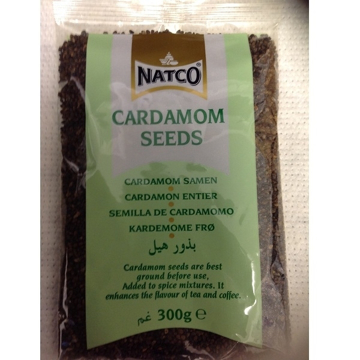 Also called Carom or Lovage seeds, they have a flavour similar to thyme but much stronger. 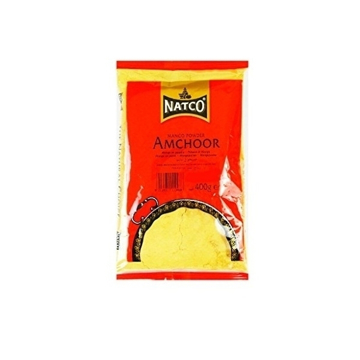 Used in Indian breads, Gram flour snacks and also go well with fish. 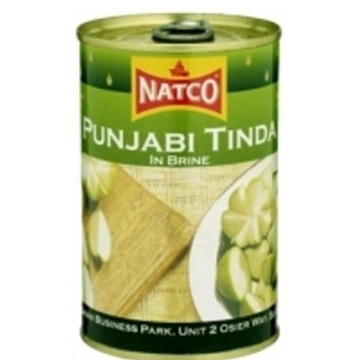 They are also a common ingredient in balti cooking and in bhajias and pakoras. 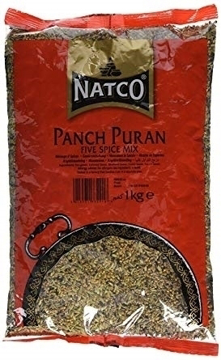 Panch Puran is a colourful blend of flavourful seeds. Panch Puran is usually fried in oil or ghee before adding anything else to the pot, flavouring the oil and releasing the aroma of the oils in the seeds. Suitable for Vegetarians. A classic bean with a "dry" but creamy texture. 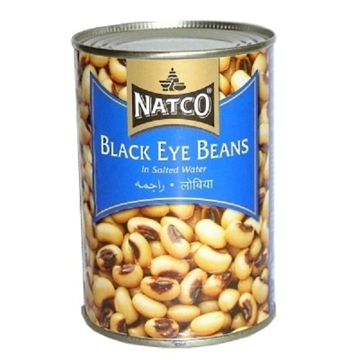 High in protein and fibre these beans are a staple base for many Asian and African stews and casseroles. 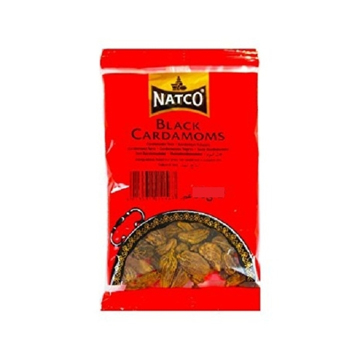 Available in 400g bags. 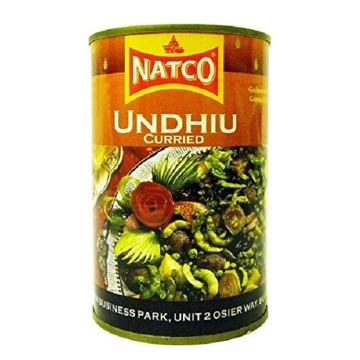 An exotic dish from the northern region of India. Roasted to enhance the flavours, the aubergines are mashed with ginger, chillies and mixed spices. 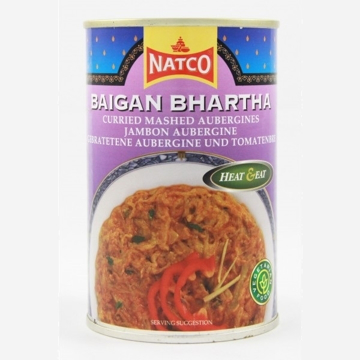 Serve as a main dish or a side dish with naan bread or chapattis. A medium hot vegetable curry dish from Gujarat. Chunks of sweet potato mixed with kand root, aubergine, beans and banana blended with turmeric and mixed spices make up this unusual but rich and filling dish. Can be eaten on its own with rice and breads or as a side dish. Heat and serve. Obtained From the Small Dried Berry of the Vine Piper Nigrum. Bring a Slightly Milder and Delicate Flavour To Dishes. 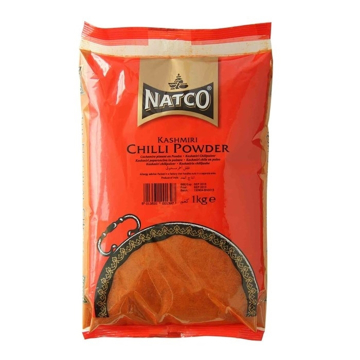 Used Heavily To Coat Pork and Beef Before Grilling Or Stir Frying.